New in our team for the Spanish version: Laura from Cuba and Luis from Ecuador. Bogus joined the team for the English language. Videos of the presentations on the US SotM can be found on YouTube and are linked from the “program” page. RobJN reported about the US-SotM. At SotM US a selfie was taken from space. (terrestrial photo of the action). Christian Quest has created a design for a vector rendering stack. Field Papers, a site for creating printouts that you can take for mapping has been resurrected. User Aury88 asks if it would be possible to integrate the editing tags for existing nodes directly on the main page. Jorge, one of the GSoC students, has presented the first results of his work (Mapillary plugin for JOSM) and is asking for feedback. Peter Dobratz asks if there is a way to obtain a list of all its changeset discussions. He is apparently not the first to ask this. The satellite images from Landsat will serve as a basic layer for the OpenAerialMap project (via). Minh Nguyen wrote a detailed contribution to the debate about multilingual name-tagging in OSM. He explains the differences between “translation, transliteration and transcription.” He also shows based on translations between Chinese and Vietnamese that an automated approach would be extremely difficult. Erica Hagen (a founder of Map Kibera) writes on medium.com a plea for strengthening local structures and less “armchair” mapping. The look of the OSM wiki on mobile devices has been improved. Arushi Vashist gives an outlook on their work in the 2nd week of the Outreachy program. Andrew Hain rewrote the languages bar in the wiki. OpenCageData published their profile for Brazil. Rory McCann wants to import place names in Ireland. The Operations Working Group of the OSM Foundation has launched a fund-raising for much needed new hardware. Half of the required sum has already been reached. A survey on the earthquake in Nepal and mapping for HOT. User “dekstop” deals with statistics about HOT and announces that he will publish his findings on a regular basis in the future. Approximately 70 percent of the contributors after the earthquake in Nepal are newbies, according to this analysis. Unless you could opt for an OSM-style, then there is now the right map for you. Two years after the “Open Data Charter” was announced at a previous G8 summit in Lough Erne, Germany is still at the bottom of the class with regard to open data. (English). OpenStreetMap on an Apple Watch. Kosmtik an alternative to Mapbox Studio? House number improvments in mkgmap. CAD Mapper an online service to create DXF files (for use with e.g. AutoCAD) with data from OpenStreetMap. Tássia Camões Araújo has published instructions to work on an OpenAerialMap plugin for QGIS in her User Diary. Use gj2ascii to create maps in an “ASCII code” style. Erik Escoffier is working on an animated graphic scale component for Leaflet. Vincent Privat (one of the JOSM developers) proposes to blacklist some unsupported problematical JOSM plugins. … Dahala Khagrabari, the only third-order enclave in the world (an enclave of an enclave of an enclave!) may soon lose its status. 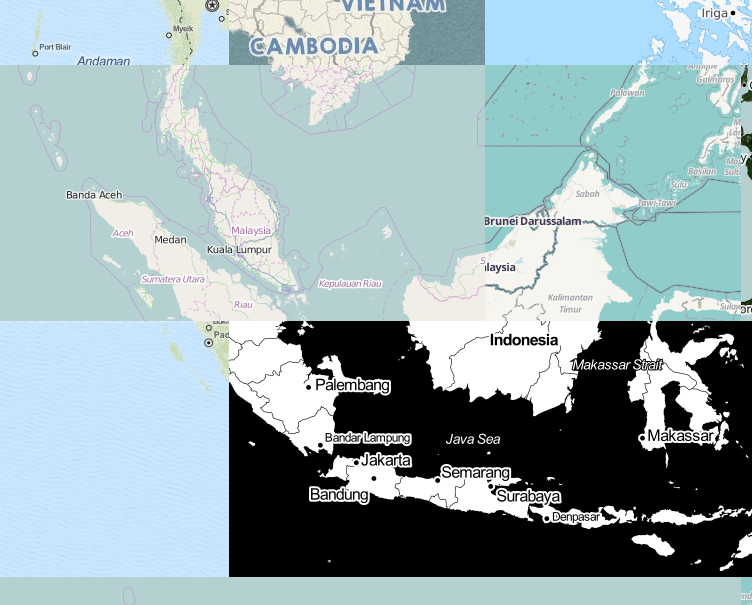 … the Imagery Offset Database with map visualisation of all registered aerial shifts? The FixWikiMaps project has set itself the goal to find obsolete or visually unappealing maps in Wikipedia and improve them. The official map of the London Underground is, according to the Daily Express, not as good as the one in Wikipedia.